It is once again that time of year where we look back at the games we’ve been reviewing all year and sort out what was particularly memorable. There are games out there that just don’t really satisfy in any way and, this year, we’ve certainly had out share of them. We are counting down the top 10 worst games we’ve reviewed in 2017. If you take a half decent game, then stripped out some of the best features for the sequel, this is what you end up with. With virtually no difficulty curve and almost no content to speak of, compounded by subpar graphics and forgettable music, this game manages to be mediocre enough to make this years list. When you take a game that has mediocre graphics for a NES game, and release it when the SNES is taking over the market, you are not off to a good start. To make matters worse, this game simply takes concepts from other games and offers nothing new in return. To make matters worse, you’ll probably finish this game (unless the game finishes you with its difficulty spikes) in a mere couple of hours. 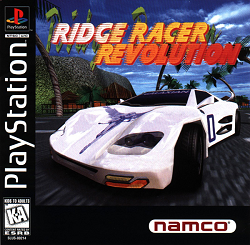 When the original Ridge Racer game out, it stunned players by how great graphics can be for a 3D racing game that predates the N64. 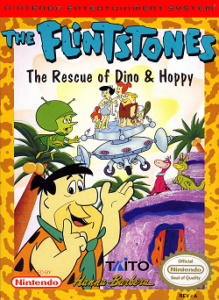 It had every advantage in the book over the classic 2D sidescrolling game that dominated the home console market. So, what do the developers do with such a strong start to the series? Stick with a single track system and hope everyone will still think this is a revolutionary game. Instead, this game under-performs in numerous areas compared to other games that were released at the time – especially in overall content and length. Yet another sequel has made the list. This time, we are going clear back to the NES era. 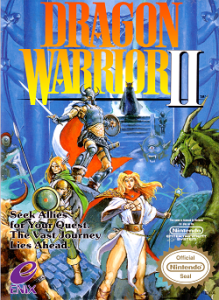 The original Dragon Warrior was certainly an early entry into the world of console RPG games. It had a few hiccups, but could be forgiven some of the time given that it was the first of the series. This game had far fewer excuses. With excessive grinding and confusing objectives, this game certainly wasn’t a pleasant memory. 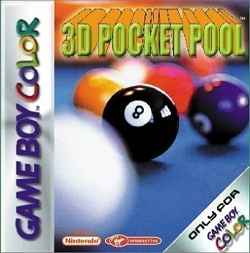 Remember 3D Pocket Pool way back in the day? Neither did we. It was probably for good reason too. Between bad physics and a horrible camera, this game fails to do this sport justice in many different levels. To make matters worse, there was almost no music to really speak of in the mess of emulated hi-hats and random sounds. 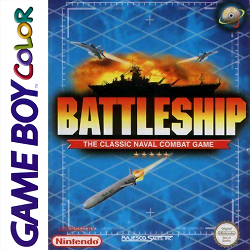 Reaching the top 5 worst games this year is this gem from the Game Boy Color. It shows that a bad port of a great game can, in fact, be worse than a really bad sequel. The bad physics wasn’t enough for this game. There had to be terrible collision detection and bizarre musical choices that crushed the ability for this game to be enjoyable to me. Sometimes, a really bad riff of another game can be enough to be considered terrible. This game was no exception to this. 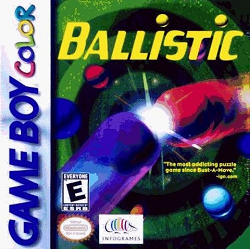 Think of a really bad 360 degree version of Bust A Move and you can get Ballistic. With almost no replay value whatsoever combined with the ability to finish playing this game in under an hour, this game just fails to entertain. If anything can ruin the gaming experience, it can be terrible AI. This alone bad this experience of playing this game bad because the computer player literally cheats when you are doing well and deliberately misses when you are doing bad. Even with half decent features otherwise, the AI more or less breaks the game completely. 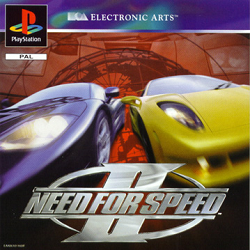 This game had every chance in the world. 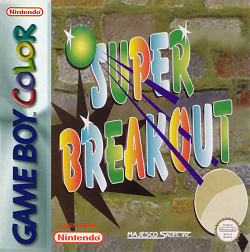 There have been several versions and clones of Breakout already produced. All that needed to happen was to produce a solid block breaking game. How hard could that be? Apparently, very hard. 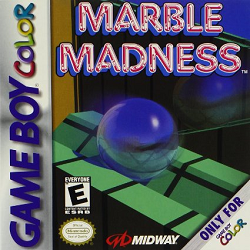 This game comes packed with broken physics, boring gameplay (the better you get at this game, the more boring it gets), and beeps for sound whenever you hit a block. It was so disappointing and so dry, it mathematically tied for the worst game we’ve reviewed all year. Between Breakout and this game, I had a very tough time choosing which one was worse given that they both scored the same overall. Ultimately, I picked this game after a lot of thought. The reason this one came out on top is not so immediately obvious when one plays this game without any context. You might think that, because this is a really old game, you can expect very poor graphics and iffy gameplay. Then, you do some research on when, exactly, this game was actually released. It was released in the same year as Mega Man 2 for the NES. Yes, this was expected to take on juggernaut games like that at the time. That’s when I started almost screaming, “WHAT?? ?” As a result, this winds up being more of a tech demo than an actual game. 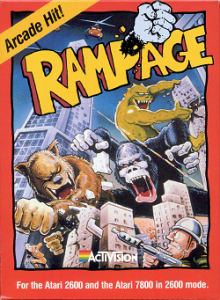 Can a developer fit a version of Rampage on the severely aging Atari 2600 system? The answer is yes. Just because you can, though, doesn’t mean you should. On a good year, this is where we conclude the list. As previously mentioned, this year, we were particularly spoiled for choice for disappointing games. So, we are bringing back the honorable mentions list and have it maxed out to 5 additional games that we feel you should probably avoid. This game was definitely a painful play. Take a bunch of casino games, strip out all reason to use AI, and you end up with this. This game features what I think is one of the most butchered versions of poker I have ever played. One of a long list of clones of Breakout. This one features an actual person tossing balls in the air. This one features unforgiving rules and a bizarre hook to take you off the screen if you so much as mess up once. It pains me to play a game that came recommended only to be disappointed by the game itself. Unfortunately, this game was a very hit and miss game. there was good variety, but it was also unbearably difficult. Not something I personally enjoyed, but hey, I finally played that game! It is a very painful experience when you play a port of a fantastic game only to see that the developers managed to butcher it beyond recognition. This was yet another example of how badly a port can be done. All the developers had to do was take the game from the N64 as-is, make it compatible with the DS, and release it. No, they had to wreck the game with absurd balloon popping challenges that are mandatory to advance into the game. It also forces you to blow into the microphone like a crazy idiot just to pass certain challenges. This was probably the game that made me the angriest. It was surprising to me that a Mega Man could be this bad. The game itself seemed to suffer an identity crises being a strange mash-up of the original NES titles Mega Man, and Mega Man 2. Compounding the problems was the fact that the selected master robots barely made any sense. Combine that with some dodgy graphics, and you get this final entry into this list. 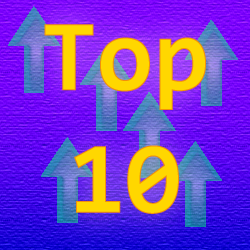 That rounds out our unusually long top 10 list this year. While this year did show more disappointment than normal, there were also plenty of hits as well. Be sure to come back tomorrow as we take a look at the top 10 best games we’ve reviewed in 2017!